A few weeks ago I shared that I am partnering with Nutrimom to help change some of my habits as I finish out my current pregnancy and enter the new mom stage again! 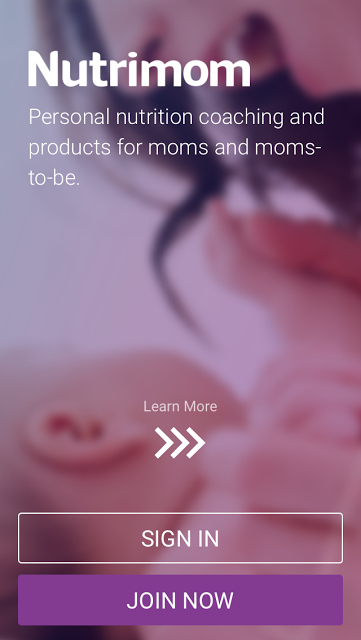 Nutrimom is a brand new program designed for moms and moms-to-be whose mission is to help moms make informed choices about nutrition and wellness during the first 1,000 days of baby’s life. Over the past several weeks I have chatted on the phone with my Nutrimom Coach, Annie, at least once a week and I have also messaged with her back-and-forth. During each of our sessions we have addressed different topics related to my health and set goals each week! 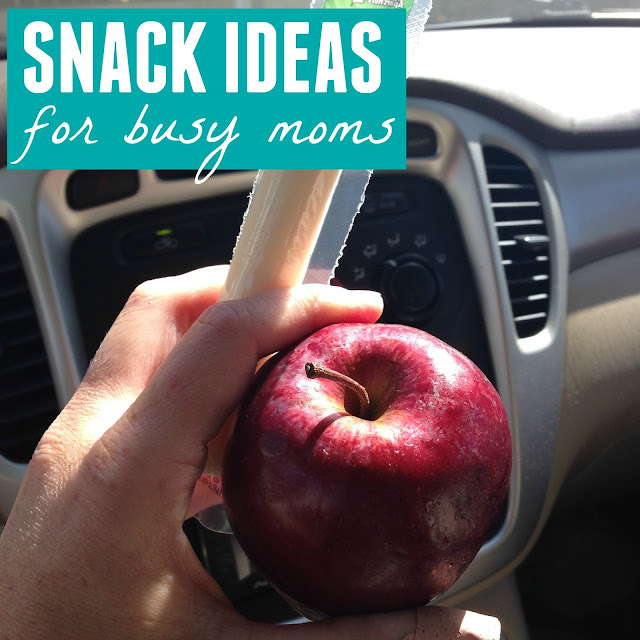 Finding healthy snacks or mini-meals I can eat on the go was the focus of one of our recent sessions. Today I'm going to share some of the mini-meal ideas we came up with. I'd love to hear additional mini-meals or snacks that you eat during the day to stay energized. Mini-meals are more like portable meals packed with a nutritional punch versus just grabbing a granola bar from the pantry to eat in the car and calling that lunch. Mini-meals have more food groups in them! For my mini-meal ideas we tried to focus on foods that have nutrients that might be lacking in a pregnant vegetarian's diet. With three kids I spend a lot of time on the go and in the car. Often when I am grabbing food for myself it is less than healthy... which then means that I wind up with a big afternoon headache and I am a grouch! Our goal is to change that! Hard boiled eggs (These are a high protein food and a complete protein, which is good for me as a vegetarian). Annie suggests that I hardboiled a dozen of these so that they are easily accessible and then she suggests that I pair a hardboiled egg with a fruit or vegetable and a piece of whole wheat toast for my snack/mini-meal. Smoothie! Annie recommended that I experiment and add a protein, fat, fruit, and vegetable to each smoothie. Some ideas included... yogurt + banana + berries + liquid, such as milk + ice. She recommended tossing baby spinach in to any smoothie I try! 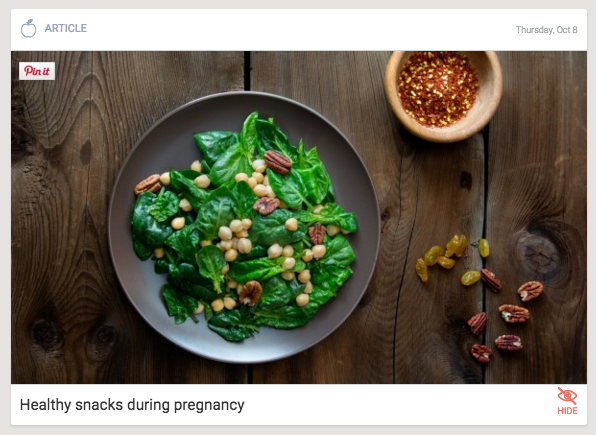 In addition to chatting with Annie on the phone about various snack ideas, Annie also sent me some articles during the week to read about healthy snacks during pregnancy. I loved that they were easy to read using my Nutrimom app when I was out and about during the day. What sorts of foods do you eat throughout the day to stay energized and get the nutrients that you need? I love having a resource throughout the week for ideas and strategies to not only help me be healthier... but also help my family be healthier! The Nutrimom program includes one-on-one sessions with your Personal Nutrimom Coach, ongoing messaging with the team of Early Life Nutrition experts, webinars, group coaching sessions on topics from lactation to physical activity, and help with setting and tracking goals. The Nutrimom program provides a huge digital library of easily searchable, science-based nutrition and wellness information tailored to individual needs. The Nutrimom program also offers a specialized line of nutrition products to help ensure you’re getting the nutrients you need at every stage of your baby’s development. Having someone else available to brainstorm with and focus on my wellness needs and give me feedback has been invaluable! It is much easier to be committed when I'm reporting back to an actual person at a set time each week as well. 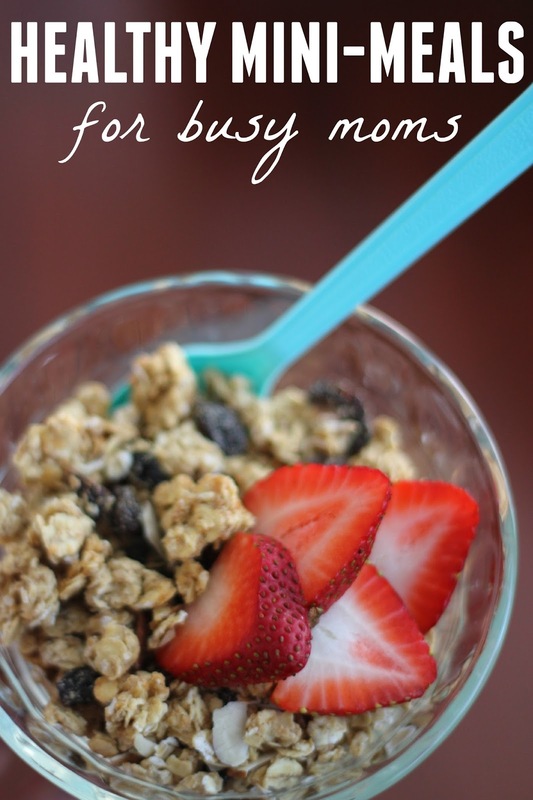 I am trying out the Nutrimom program for a few months so I wll be sharing more about my experiences here on the blog! For those interested in signing up for the Nutrimom program for Personal Coaching, you can view all the different subscription plans here.